Legion murdered a few abilities, moved others (you no longer have poisons or bleeds,) and added some new ones. Most of what you do is still intact though, so you’ll still be the sneaky backstabbing murder machine you’ve always been. Now go out and murder something. Rogue Leveling – Get to 110, faster. Subtlety rogues present a combination of DPS and utility allowing them to do well in both PvP and PvE. In the DPS race an Assassination or Combat build might pump out more overall damage, due to easier rotations, but Subtlety can hold its own with a bit more work. Combat and Assassination have more consistent damage, and Combat has some crazy burst. Subtlety has more brutal openers and Shadow Dance, but the sustained damage isn’t so hot. Note: If you’re still leveling then some aspects of this guide may not apply to your Sub. Rogue until higher level. If you are interested in getting your character to max level quickly, take a look at this leveling guide. Your Mastery stat is devalued by a small amount, but your Backstab and Eviscerate do decent damage. Deadly Throw is dead and “Throw” is replaced with Shuriken Toss, but you don’t use those anyway, right? Gear isn’t quite dead but it’s far less important than it used to be. IN any PvP situation stats and gear are “normalized,” which pretty much means that you’re assigned a set of stats. Item level counts a little bit, but only about 1/10 (yes, 10%) of what it used to. If your item levelis 50 levels higher than the other guy then you have only a 10 item level advantage in Legion PvP. Tertiary stats (Avoidance, Leech, gems sockets, etc.) are still around, but only on PvE gear. Agility is your primary damage and remember that you get bonuses from Sinister Calling and Leather. It’s much better than any of the other stats, so in the rare case where the question is “Should I go for Agility or this other stat?” go Agility. In Warlords that Question will rarely come up. Attack Power is pretty uncommon on gear, esp. high level gear. If you can find it then grab it. You might occasionally see it on lower level gear. Mastery adds to the effectiveness of all of your finishing strikes except Recuperate. Even with the small 6.2 nerf it’ll make your Eviscerates (buffed in 6.2) hit harder as well as your Rupture and Slice & Dice. Versatility is an add to all of your damage, your healing, and your damage reduction. A nice stat since it improves pretty much everything you do. Haste isn’t all bad, it’s just that the other stats are better and it doesn’t scale well. It speeds up your cooldowns, energy regen, and so on. The way to stack stats will be through gear choice and enchants. Reforging is dead, gems are not available on PvP gear, and enchants only deal with secondary stats and are only for your Neck, Rings, Back, and Weapons. Talents can be swapped just like glyphs and for the same cost, so experiment a bit. This build improves utility, survivability, and mobility. None of the talents are bad, though they may be situational, and some choices are a bit tough, such as in row 4. Patch 6.2 brings no real changes here. Deadly Throw no longer interrupts and Shuriken toss does a bit more damage. That’s about it. Keep in mind that you can switch talents of the fly, all you need is a Tome of the Clear Mind (if 86+) from your reagents vendor. Your trainer, of course, can wipe the whole set for you. Why switch? Duels, 2s, 3s, 5s, BGs, and world PvP are all a bit different and then class A will require different tactics than class B.
Glyphs (below the talents) are chosen to be most generally useful, though certain others might have situational use. Click Here to Level Your Rogue Faster Than a Speeding Bullet! Glyphs are basically dead in Legion. There are a few “minor” glyphs that are entirely cosmetic and which have no combat value. As you level your Rogue you will automatically learn certain glyphs, just as you do talents and abilities. The rest of the glyphs will still be available on the Auction House. Exclusive glyphs are groups of glyphs that do not function together. For example, the glyphs of energy, evasion, and elusiveness. You can only use one of these at a time, though you can swap them as necessary. The first three are recommended, though the others certainly have their uses. Glyph of Blind – About as mandatory as any Rogue glyph. Your blind removes all Damage over Time effects from the target, even those left by your team. Makes Blind a lot more reliable. Glyph of Cloak of Shadows – Now take 40% less physical damage, in addition to the other benefits. Glyph of Hemorrhaging Veins – Your Sanguinary vein ability now applies to Hemo damage. Lets you skip using Rupture in your rotation as you now have a default bleed. Glyph of Smoke Bomb, for those times when you need that extra 2 second duration on your Smoke Bomb. Glyph of Decoy – Might make your Vanish a bit more interesting. These are the abilities specific to Subtlety Rogues. Note that Slice and Dice in now an Outlaw talent. Recuperate is replaced by Crimson Vial, which is better anyway. Dead abilities are crossed out, and you’ll note some new abilities. Hemorrhage – Assassination stole this ability and it’s a talent of theirs. Master of Subtlety – (P) more damage when attacking from stealth. Eviscerate – Hard hitting finisher. Shadowstep (13) Teleport behind your target and gain 2 seconds of increased speed. The target does not need to be hostile. No longer a talent. Energetic Recovery – (P) Slice and Dice for faster energy recovery. Premeditation – (P) adds 2 combo points to target before attack. Backstab – requires man hand dagger, now does more damage when behind or alongside the target. Blind (38) Blind one target for up to a minute. You and Outlaw share this. Honor Among Thieves – (P, PvP talent only.) Gain combo points from your crits or the crits of party members. Relentless Strikes – (P) chance to regain energy with your finishing strikes. Sanguinary Vein – Improves Rupture damage and increases damage done to all bleeding targets. Fan of Knives – Assassination only. Mastery: Executioner – (P) Increases damage done by finishing strikes. Coming out of stealth and launching your attack you have: More damage (master of sub.,) more damage from Ag (sinister,) less enemy armor (find weakness,) and two extra combo points (premed.) Good way to start. Interrupts, in addition to the above: Kick, sometimes Smoke Bomb. Stealth and Defenses: Smoke Bomb, Evasion, Feint, Cloak of Shadows, Stealth, Vanish, Shroud of Concealment, Crimson Tempest. Important note: In Legion, Blizzard says that gear doesn’t matter nearly as much as before. Stats are “normalized,” which means that any non-artifact enhancements you have don’t really count. Item Level does count, but only a fraction of what it did before. If you want to engage PvP with someone out in the world and your gear is 100 item levels better than his, then for the PvP it’s effectively only 10 ilevels better. Gear is mostly normalized. The idea is to put everyone on a more equal footing. Freshly 90? 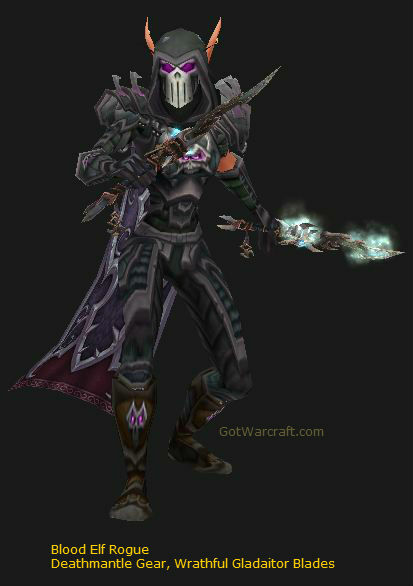 Get the Crafted Malevolent set off the Auction House or from a Leather worker. or just grind out your levels, you’ll quickly get into better gear. Rated BGs and Arenas will get you the Conquest Points to get your Conquest gear. Conquest Elite gear isn’t better, it just looks different and has a required 2k personal rating to buy. at 70 you can spend about 2k honor to get the Brutal Gladiator set from the legacy PvP gear vendors. at 85 you can buy the Vicious Gladiator crafted set. If you’re lucky you might be able to find level 450 blue PvE gear on the Auction House. At 91 you can equip raid level crafted gear, up to three items. It’ll only cost an arm, a leg, and a couple of first round draft choices to max it to 715 for armor and 705 for weapons. At 110 the grind begins. Should I Use PvE Gear? It doesn’t matter nearly as much as before. You’ll still crush those lowbies you’re hunting, but as noted above all of your gear is “normalized” in PvP encounters. That “freshly 110” player you’re ganking will, for all intents and purposes, have almost the same gear as you. You’ll have the advantage of a fancier artifact and any PvP talents you may have earned. You can only wear three of the crafted items at a time. Get the Leatherworking chest and leg pieces as well as the Blacksmithing dagger. As the stats are randomly rolled when the item is created you should take a close look at all the items available, so you can get the ones with the best stats. Various essences will upgrade the armor pieces. Leather Refurbishing Kit will reroll the stats. Note that upgrading that gear is fairly expensive, figure maybe 20-30k per item. Feeling the pinch? See if Tycoon can help your gold problems. Note: There is little PvP gemming in Warlords, move to the next section. Occasionally PvP gear won as an award will have a socket. Vendored gear never goes. There are no sockets in Legion gear. The gems shown below are for lower level gear. Warlords note: The stats squish is in. Gem values are about 6% of what they were before, but then so is everything else. Relative to your own stats and your gear they will still be important. Gems that added +Hit are now +Crit, gems that had +expertise are now +Haste. Important note: There are no gem sockets available, yet, on PvP gear. This make gemming moot, unless you’re using socketed raid gear in your PvP. Tip: “Perfect” gems have the same stats as the regular gems and one or the other might be much cheaper. For example: Perfect Delicate Pandaren Garnet and Delicate Primordial Ruby. Same stats, but likely very different prices. Given Subtlety’s Sinister Calling an argument can be made for loading all red Agility gems regardless of socket color, or even all yellow crit gems. You can certainly skip any socket bonus that is not Agility. No sockets are available. Move along. If sockets become available, then gem for Mastery. The +35 gems are much cheaper than the +50 gems, if gold is an issue. Tycoon: More Gold, Easier and Faster than Ever. Click here to grab yours. Note: As notes above, all stats are “normalized” in any PvP situation. Work on your artifact, your item levels, and (much more than before) your skills. The section below if for those engaging in lower level PvP and not just leveling. Head enchants no longer exist, all shoulder enchants come from the Inscription profession and are for gear under ilevel 600. Get ’em off the Auction House or from someone with Inscription. All enchants with Hit or Expertise have been removed or changed. For example, the cloak enchants that used to provide Hit now provides Crit. In Warlords enchants adding secondary stats (crit, multistrike, etc.) are available and you will be able to add them to rings, cloaks, neck pieces, and your weapons. Other items cannot be enchanted at this time. Note: Dancing Steel procs from separate weapons do stack with each other. Back to back procs from the same weapon do not stack, though the duration will be extended. Enchants for gear under ilevel 600. See the sections below on sneaking and Shadow Dancing. Communication is important. If you’re teamspeaking (or similar) then let them know what you’re doing and how you’re evading/feinting/cloaking/trinketing/etc. Effective communication will really boost your whole team’s capabilities. Tell each other when you’re in trouble and the other(s) can help. You should Shadowstrike whenever possible. Backstab costs 35 energy, requires a Dagger, and while it has no position requirement anymore is does give yu a 30% damage bonus if you’re alongside or behind the target. Hemo now belongs solely to Assassination and it’s a talent. You can Backstab opponents who are stunned (just hop behind,) fighting someone else, running, or for any other reason they might have their back or side to you. Always attack from Stealth, if at all possible. You get the Mastery of Subtlety buff (+10% damage for 6 seconds) which is nice. Shadow Dance activates the M of S buffs, though Dance will expire before the buff does. #1 is good teamwork, which requires communication. Keep Feint up as often as possible, basically anytime that you suspect large incoming damage is a possibility. With your Elusiveness talent the large damage reduction will save your hide repeatedly. It’ll also save you a few other cooldowns. Pre-feint stuns if you suspect one is coming in. The minor energy cost is worth the value of the safety net. Evasion is great against incoming physical damage, anything that can be dodged, but abilities such as Killing Spree ignore it. It will definitely make it much harder for the enemy to land stuns. 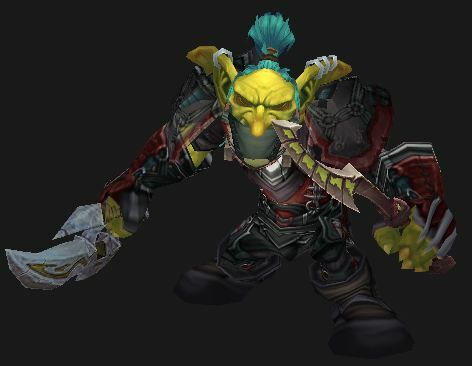 “On use” trinkets and racials (such as Grievous Gladiator’s Badge of Conquest and the Orc “Blood Fury”) will break stealth. They will also break your Subterfuge talent. I tried using one in my opener, putting it after the attack, and it reliably broke me out of the 3 second Subterfuge stealth. Make sure that they’re bound to some other ability or in a separate “time to die” macro. Lots of things in Ashran seem to break stealth, in addition to the actual devices and enemy abilities. Beware of Death Knight Diseases, some of which hop from target to target, including those that are stealthed. It’ll knock you right out of your stealth. get your opponent slowed, sprint away, break line of sight. Night Elves can Shadowmeld to Stealth and move away. If you sit on a person and spam your main strike, you won’t have enough energy for legitimate burst. Opening with two Shadowstrike (using the Subterfuge and Vigor talents) will leave you with decent energy for follow-up. for example, get 5 combo points, wait for full energy, then KS (Kidney Shot) and you will be able to strike at least twice then Eviscerate. If you Backstab like a madman you won’t have energy to do your Shadow Dance when it cools down. There are two “teleport” talents, Shadowstep and Shadowstrike. Both are 25 yard teleports. ‘Step can also be used on teammates, friendly/allied targets, critters, almost anything. Strike is a long range attack. Both put you in the right position (behind) to start attacking. You can use either to get up onto ledges and attack otherwise inaccessible players and mobs. Try saving your S’step when you engage the enemy. That way when they break away (blink, disengage, etc.) you can catch up to them. You can attack more than one . With Shadowstrike: Attack #1 and then hit #2, even if not stealthed. (You have Subterfuge.) If you’re quick at target switching, and have some Haste, you might be able to hit three targets, esp. in a 5 second Shadow Dance. Dance lasts 8 seconds (10 with the perk) and lets you use your stealth abilities (Cheap shot, etc.) out of stealth. It really helps to practice using Shadow Dance on the target dummies, to get some kind of routine down. Also you will want to master your energy pooling skills and your ability to quickly move behind a target. The basic routine is this: Dance > Ambush to 5 CP > Eviscerate > repeat. See “How to Shadow Dance” below. You don’t try and beat a warrior the same way you beat a priest do you? There are unique ways of handling each class. Generally though, the two main styles a rogue can play are burst and control. Note that while Warlords did away with a lot of Crowd Control abilities you only lost your Disarm. Burst: When you do a lot of damage in a short period of time. This usually involves getting back into stealth again multiple times to get max damage possible. Unlike the other Rogue specs you have abilities (Find Weakness and Master of Subtlety) which give you much more damage when coming out of stealth. Control: When you use all CC (Crowd Control) methods available to control an opponent and take them out of the game, so to speak. This means you have to always leave enough energy to gouge and be ready to kick on demand. Also blinding into a sap can be a game breaker when speaking in terms of arena. (Blind to end combat, get stealthed somehow, sap) Beware of Diminishing Returns, such as when using Cheap Shot and Kidney shot close together. The 2nd will have its time cut in half. Defensive: A rogue who needs to be”defensive” would simply try and avoid as much damage as possible. This would include moves like evasion, vanish, blind, gouge, smoke bomb, feint, etc. and trying to re-stealth. Like a Warrior – if you have a pocket healer then you will do some damage. Without one you will have to be somewhat careful about picking and choosing. Otherwise, obviously, the best pvp build depends on who’s in your team, if you have one, and who the other guy is. Healing – have Recuperate up at all times. It will greatly increase your longevity. Join Skill-Capped and Get Better. Click Here Now. Cheap Shot and Kidney Shot share “diminishing returns.” If you have used either within 15 seconds of your Dance then you will have a shorter duration to the next one. Ambush no longer depends on your getting behind the enemy. At the least you should be able to get off an opener, an an Ambush or two, and a finisher. While Ambush uses less energy in Dance than otherwise it’s still a goodly amount (40.) Having Slice and Dice up will be a big help. Note: A Smoke Bomb while Dancing (or otherwise bursting) can frustrate your target’s caster allies. Any allies within the cloud also take less damage, another plus. Note: You want Slice & Dice and Rupture up before dancing. If you can do it coming out of stealth then you get the Find Weakness and Master of Subtlety buffs. Main hand is poisoned, right? repeat until dance is over. Make sure your main hand weapon is poisoned. Using Garrote: Premed > Slice and Dice (if you need it) > Dance > Garrote > Ambush to 5 CP > Eviscerate. Using CS & Rupture: Premed > Slice and Dice (if you need it) > Cheap Shot > Rupture > Dance > Ambush to 5 CP > Eviscerate. Attacking from stealth (with Subterfuge talent:) Slice and Dice > Garrote (> Cheap shot or pool energy) > S. Dance > Ambush > Rupture at 5 CP > Ambush till 5 CP > Eviscerate > Ambush until Dance fades. Out of stealth: Slice and Dice > S. Dance > Ambush till 5 CP > Rupture at 5 CP > Ambush till 5 CP > Eviscerate > Ambush until Dance fades. Practice this until you have it down. These videos are not updated for Warlords and Ambush no longer has a positioning requirement. Other than that they will give you a pretty good idea of how things work. In Legion poisons are Assassination only. Your only DOT is now Nightblade. Check out our How to Create Macros post if you need a starter. Check out Impulse if you want some in-game help for macros and keybinds. Once you have your macro, put it on the action bar and bind it to a key. Practice with it so you know exactly how it works. The order of commands can be important. For example, using some trinkets will break stealth, so you should place them after the attacks in your macros. This uses the “on use” trinket in your second trinket slot and uses it right after you attack so that it doesn’t break stealth. You can copy and use the same basic macro for your Garrote or Cheap Shot. The pick pocket is for your leveling or grinding and won’t affect players. ’13’ is your first trinket slot, with your “on use” trinket. The potion is not usable in rated PvP. You will need two key presses for the following macro. This allows you to start (auto)attacking your opponent, even if you’re out of energy or out of range. You can also use one for your Backstab. Nice for target switching. Great for just mashing as you sneak along looking for hidden targets (rogues, ferals, concealed hunters. ) The Pick Pocket is there just in case you’re using this outside of PvP. Another version, which makes sure you target the closest player. Three different macros. The first will cast your Blind on an arena target. Replace the X with 1-5, depending on how many arena opponents you have. 1-2 if you only do 2s. Now you just have to mash the key and it will autotarget arena enemy #1 (or 2) and blind him. The second will blind your focus target without losing your primary target. The last blinds your mouseover target without losing your main target. You can use these with pretty much any ability, such as : Kick, Shiv, Sap, Garrote, Gouge, etc. Barlag is just the delay of the system swapping your stealth/dance bar for the “regular” bar. This macro attempts to avoid that and it should be placed on a bar that does not swap out as your stances change. If you’re just sneaking along it will Cheap Shot your enemy. If you’re in Shadow Dance then it uses Ambush. The best? Human. Three PvP trinkets is actually useful. This is why about half of the top arena players are human. None of the racials are huge, though the Orc and Troll cooldowns are pretty nice. Play what works for you. Only the racials that are applicable to PvP are shown. In Warlords all racials dealing with Hit or Expertise are gone. Some of them were replaced, All Rogue races now have some sort of DPS racial. +1% Haste is to yawn over. Stone Form washes away various effects & bleeds and gives some damage reduction. Might of the Mountain: Critical strike bonus damage and healing increased by 2%. Touch of Elune: +1% Crit by day, +1% Haste by night. Blood Fury is a DPS cooldown. Add it to your “Die NOW!! !” macro. If you’re leveling you might appreciate the 25% extra XP from killing beasts. Indefinite Underwater breathing might have some ambushing (or escape) uses. +1% Haste is a “meh” stat. If you’re not yet 90 you will get more rest XP, making leveling faster. In Warlords all of the profession bonuses/perks have need removed. No more high powered Agility enchants from Leathworking or Inscription or that sweet Synapse Springs enchant from Engineering. May they Rest in Peace. Engineering still has some nice toys, such as Nitro Boosts, which you may like. There are also rockets, shields, and other goodies. Blacksmithing can provide keys and some useful weapons, until you get your PvP weapons. Leatherworking can provide decent armor as you level. Each can provide raid level gear that you can wear at 91. If you’re leveling or freshly 91+ then you can wear three of the crafted pieces. We suggest the Blacksmithing dagger and any two of the Leatherworking Head, Chest, or Legs. The weapon is ilevel 630 and the armor bits are 640. See “Gearing” above for more details on that. Best for cash, but still being useful? All the Warlords ores, skins, and herbs sell well. The 630 weapons and the 645 armor pieces sell, but the items to upgrade them seem to sell just as well and might be more profitable. If you’re serious about making gold from crafting then see our gold pages or see Zygor’s gold guide. Note that with your Garrison mine. stable, and herb garden you do not need those gathering skills. Tailoring Nothing but a flying carpet and nice shirts. Move along. Leatherworking Can make some useful armor and the items to upgrade the stuff and reroll stats. Can make tents (if you have a follower working your Garrison LW hut) which give +10% to stats outside of raids or rated PvP. Jewelcrafting Make some nice jewelry and raid level rings and neck items. These can be rerolled and upgraded just as with Leatherworking. Enchanting All of those nice enchants. You can also use Illusionary enchants, which are transmogs to your normal enchants, if you have a follower working your Garrison Ench. hut. So yeah, your Bleeding Hollow enchant can look like Firey Weapon. Inscription Glyphs, shoulder enchants, raid quality staves and trinket and the stuff to reroll stats and upgrade those items, fortune cards. Alchemy Lots of potions and some transmutes. Get daily free potions is you have a minion working your Garrison Alchemy building. Engineering has lots of interesting toys, some of which have situational use. And then there are the backfires… Can make rockets, shields, glider and other items. None of which can be used in rather PvP, but which can be used everywhere else. Blacksmithing Can make some useful weapons and the items to upgrade them and reroll stats. Once you have decided on the right build for your Rogue consider an in-game Rogue Leveling Guide for the most effective (fastest) leveling. Why? With thousands of quests and a million mobs to grind the trip to or 100 can take a while. A long while. An in-game leveling guide will (almost) automate the whole leveling path for your Rogue, making it faster and easier. Even if you boosted to 90 (at $60 a pop) you’ll still have those last ten to go and a “helping hand” will make it go a lot faster. Start from any level and use Dugi’s to blast to the finish. Heck, you can even grab a few levels in the dungeons and battleground PvP. 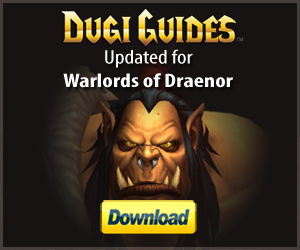 Dugi’s guide will figure out your new level and the best spot to continue your questing. Note: Dugi’s is always quickly updated to the latest patches and expansions, whether it’s Warlords of Draenor or whatever comes after that. Grab your copy now and hit that level cap ASAP. hey, enjoyed this guide pretty much – which addon is used in the video? Looks like the addons are Recount, a bar addon (Bartender? ), and something like “TellMeWhen,” which lets you know when cooldowns, such as Shadow Dance, are up. I use an interface mod, called LUI – among many other things it shows a nice energy bar on the nameplate. Actually, he isn’t using an addon to display energy gains. It is a WoW interface feature, found by going to: escape menu –> Interface –> Floating Combat Text. it is, by default, disabled. Good points. I’ll update the page with better remarks soon. Yeah, I know. I just haven’t updated all the gem tables yet. Coming soon, along with 5.4 updates. /cast Expose Armor, Hope this adds well to ur awesome sight, get scuzzy with it! Cool, thanks. I think I’ll hop on my Rogue shortly and try it out. Love this guide!!! My rogue is my alt and was lvled and comfortable in the Combat spec… hmm Sublty might have to give this one a try. Also I am what many would call a “macro-whore”. Are there any must have sub macros for this spec only? I will do my research and find as many as I can but would like to have you’alls view on it. Thanks and keep us the good work!! P.S the info on MoP is gonna piss alot of rogues off… them or the people that are laied to waste by them lol!! Thanks for the nice words. 🙂 Give Sub a try. Combat is better for consistent DPS, Sub is better for the “come out of hiding with bone crushing burst.” That also happens to make Sub a lot more fun for leveling, IMO. I’m not normally a macro whore (though I do have a few,) but recently there were a couple of times where certain ones would have been nice. I’ll get them posted soon. I’m a recently leveled 85 rogue (Vertigó) and I’m new to using subtlety in pvp. It’s of course so much freakishly easier then using combat, but I do fine in combat. Your pvp section is all accurate from my personal experience, except I never heard of the idea of running from someone to restealth by using things like gauge/blind. Breaking line of sight helps, too. As fas as Combat, or Assassination it’s not that they’re bad. It’s that Sub is designed around “come out of stealth with bone crushing burst damage.” Another idea, which maybe you already know: Save your Shadowstep till after you attack. That way you can catch blinkers and disengagers and such, since you don’t need to be in stealth to use it. Almost the same as another guide, either you ripped it off or he did. A few things are different, either way some good information.